Completion of the ratification process and practical implementation of the provisions of the Convention on the Legal Status of the Caspian Sea will open up even broader opportunities for sustainable development of the region, Azerbaijani Foreign Minister Elmar Mammadyarov said in an interview with a number of media outlets following the fifth summit of heads of the Caspian littoral states. The convention and the communique adopted by the heads of state at the summit in Kazakh Aktau city defined new tasks, he said. Intensive work based on goodwill, friendship and cooperation for the benefit of the entire Caspian region and the peoples of the Caspian littoral states will continue, Mammadyarov added. He noted that the signing of the Convention on the Legal Status of the Caspian Sea on August 12, 2018 at the 5th Caspian summit Aktau is a historic event and an important achievement for its five coastal states. It once again demonstrated that the Caspian littoral states are determined to confirm the atmosphere of sustainable peace and cooperation in the Caspian basin and the surrounding regions, he said. The Convention defines the legal framework for interstate relations and conduct in the Caspian Sea, Mammadyarov noted, adding that this document is based on generally accepted principles of international law, especially such key ones as respect for the territorial integrity and sovereignty of states. Together with defining the legal regime and the terms used, the convention describes clear, transparent and predictable norms of acceptable conduct in the context of the activities of all Caspian littoral states, he said. These relations, based on mutual trust and cooperation among the Caspian littoral states, are necessary for them, as well as their partners, he noted. 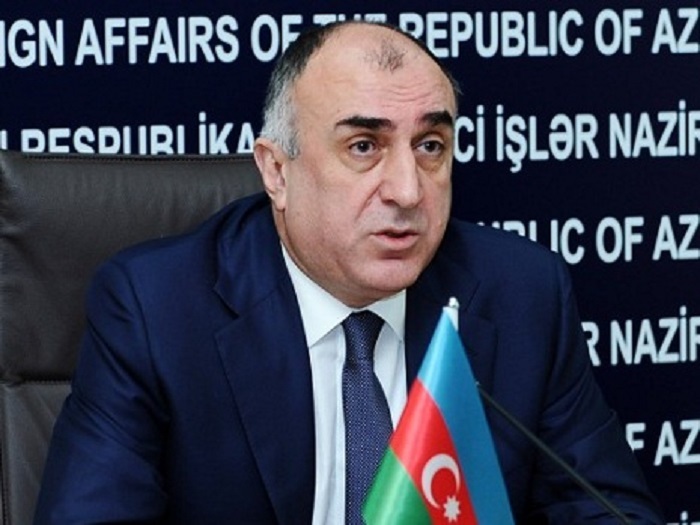 In the process of developing the convention, the Caspian littoral states also demonstrated such elements of high political culture as a unique regional identity, responsibility and the ability to be masters of their own destiny, Mammadyarov said.